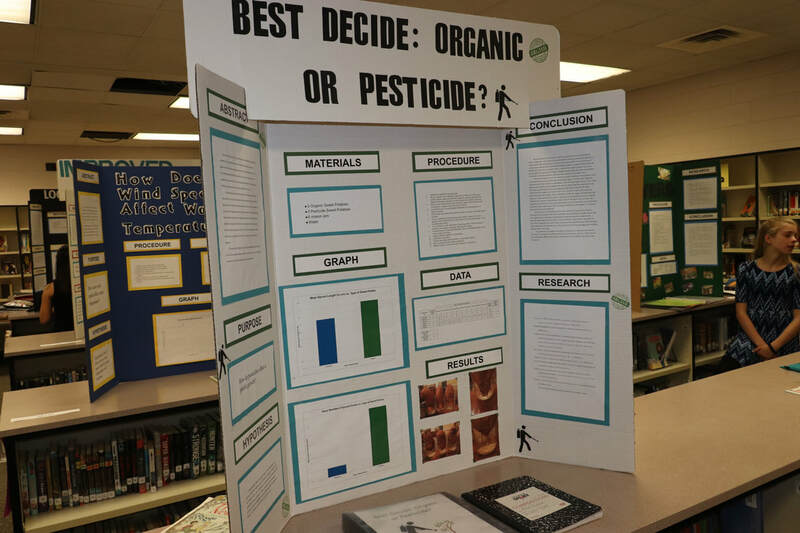 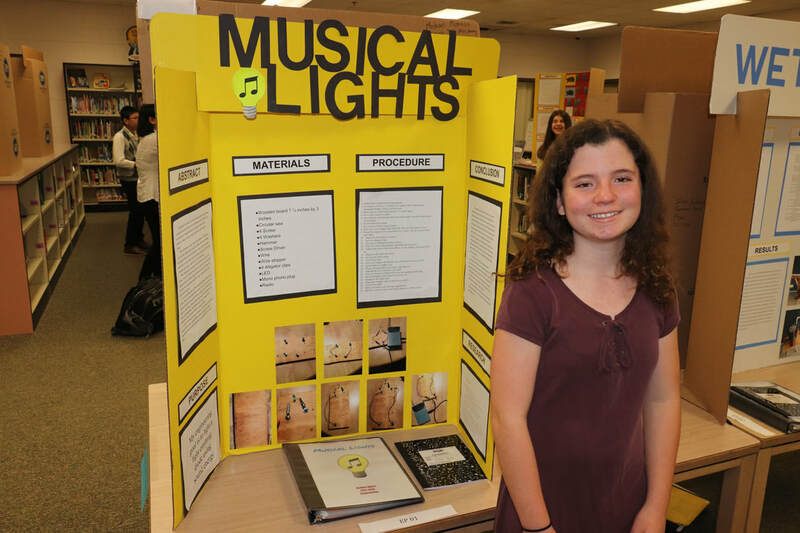 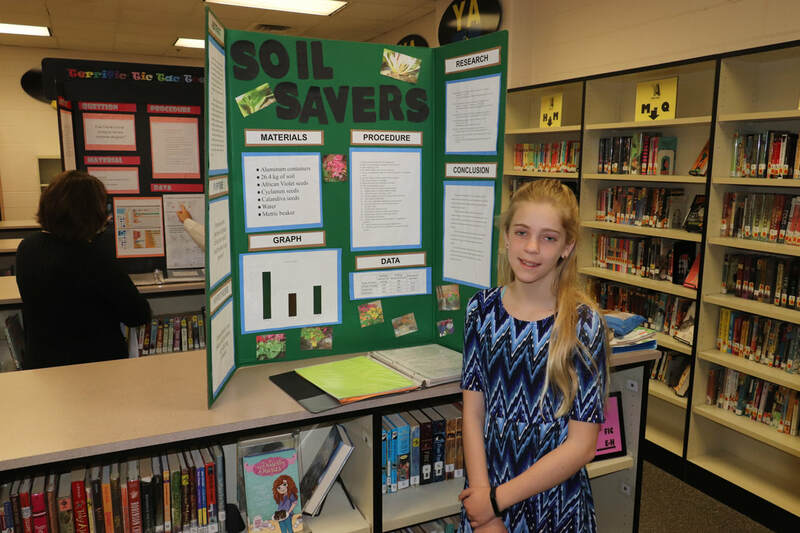 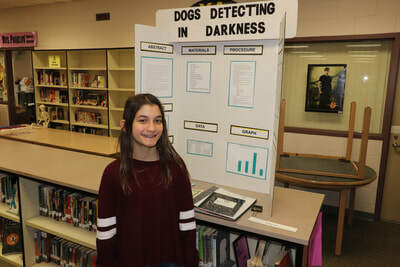 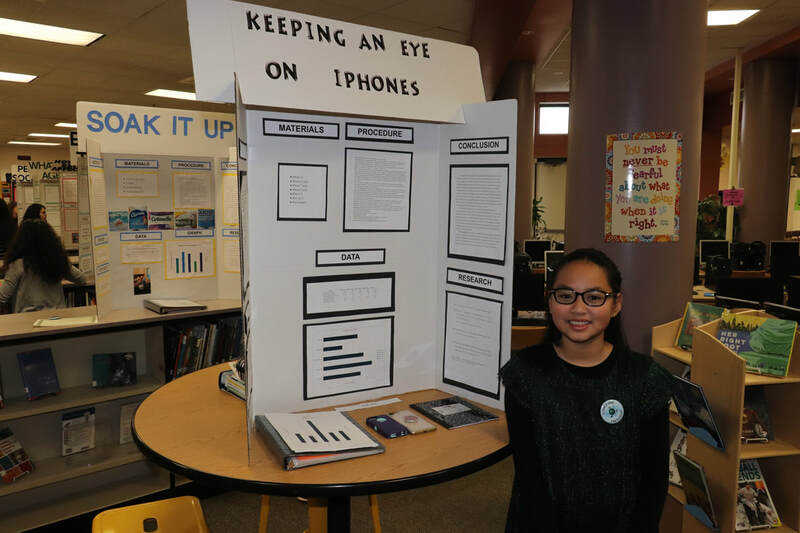 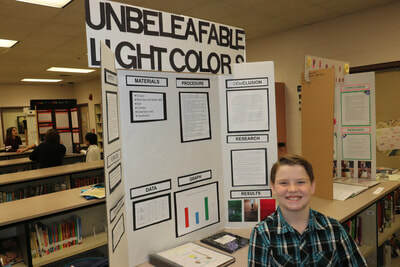 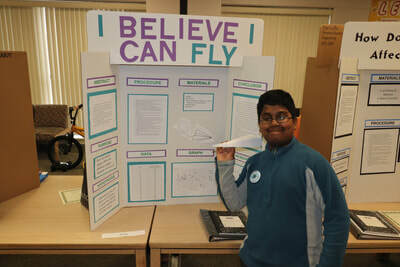 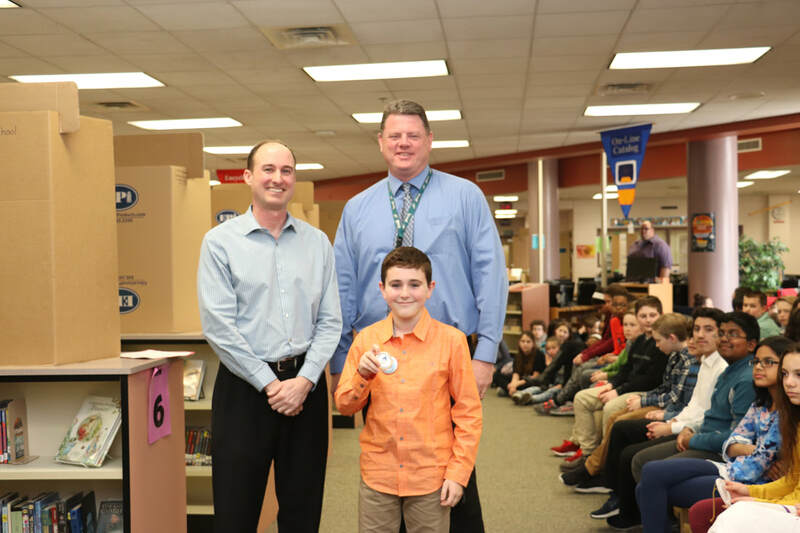 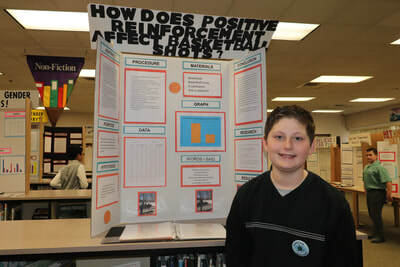 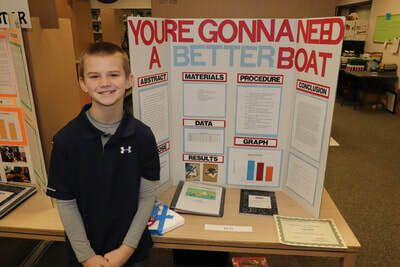 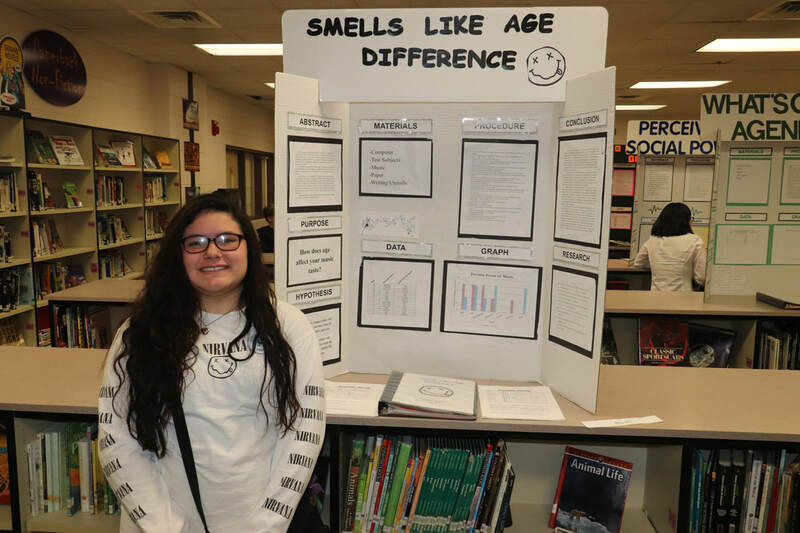 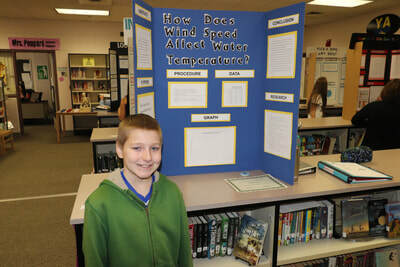 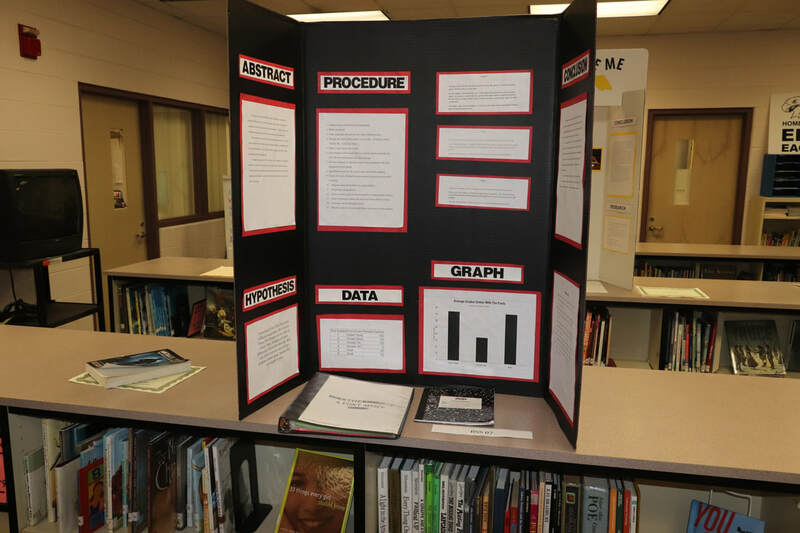 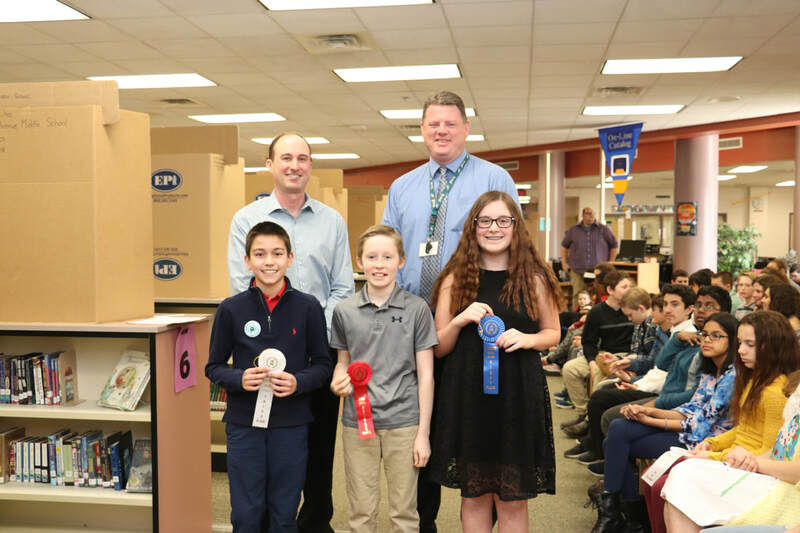 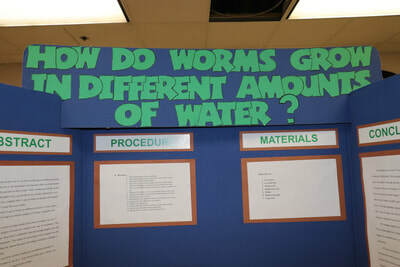 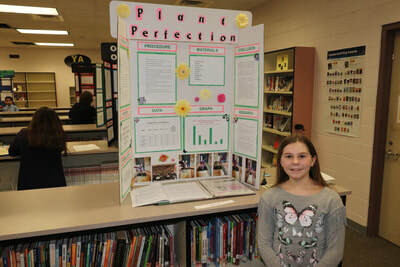 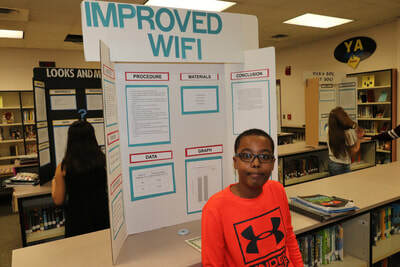 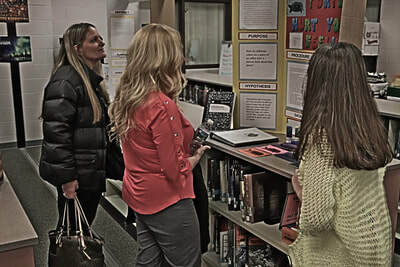 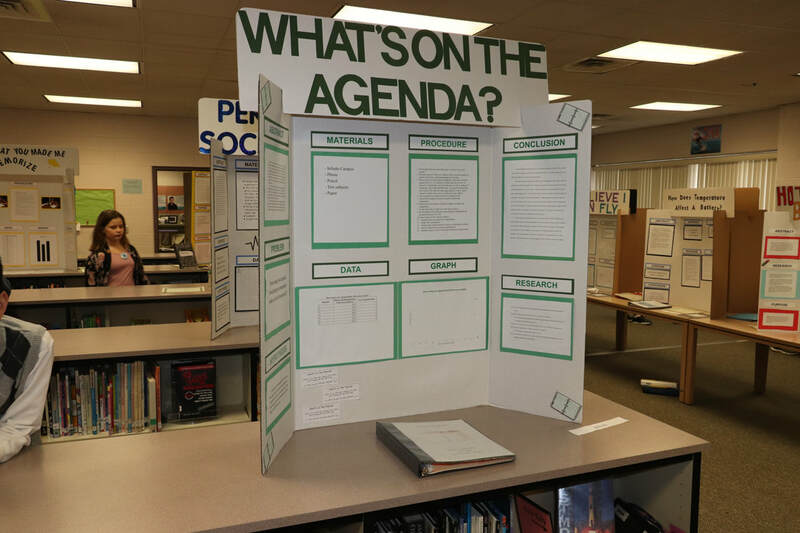 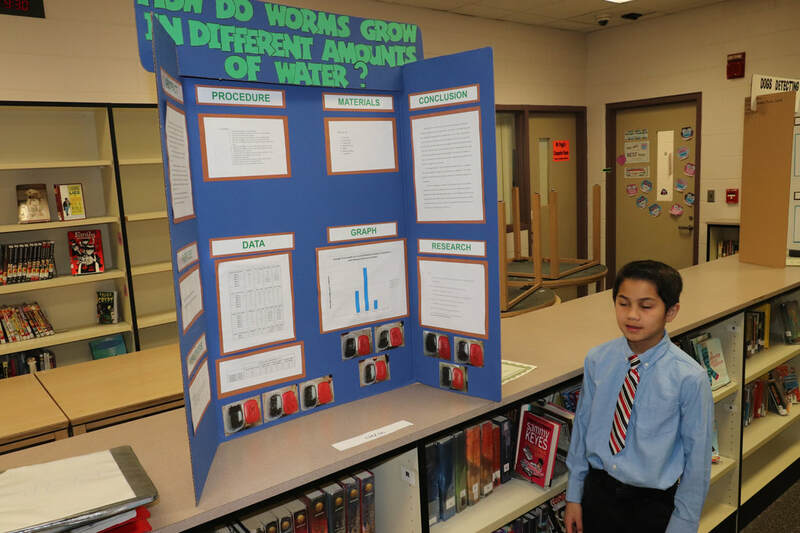 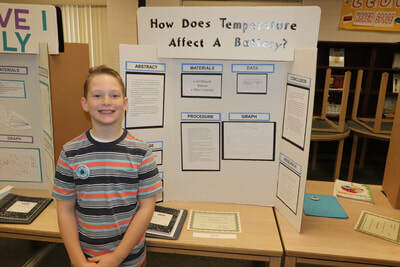 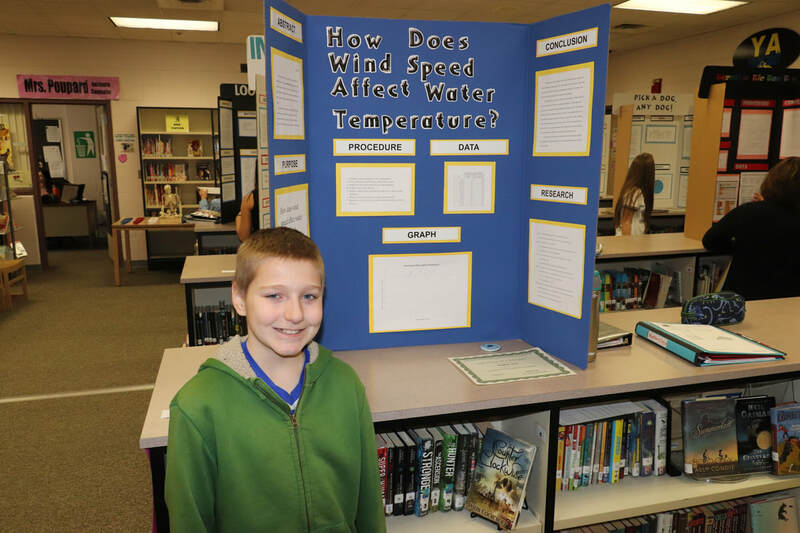 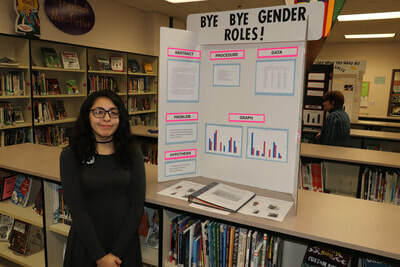 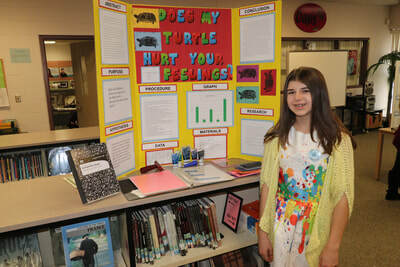 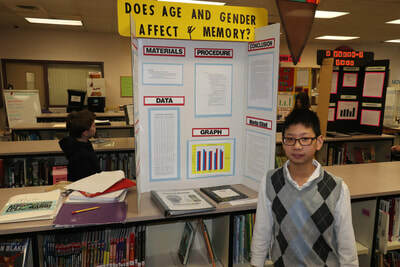 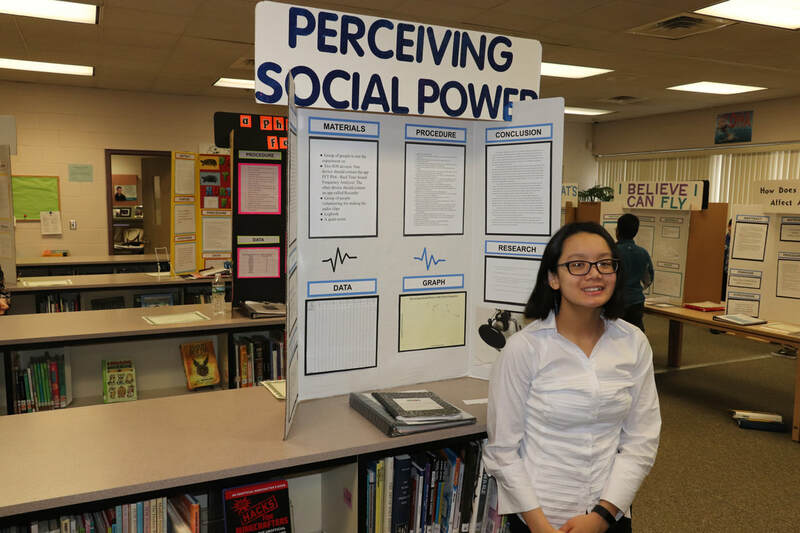 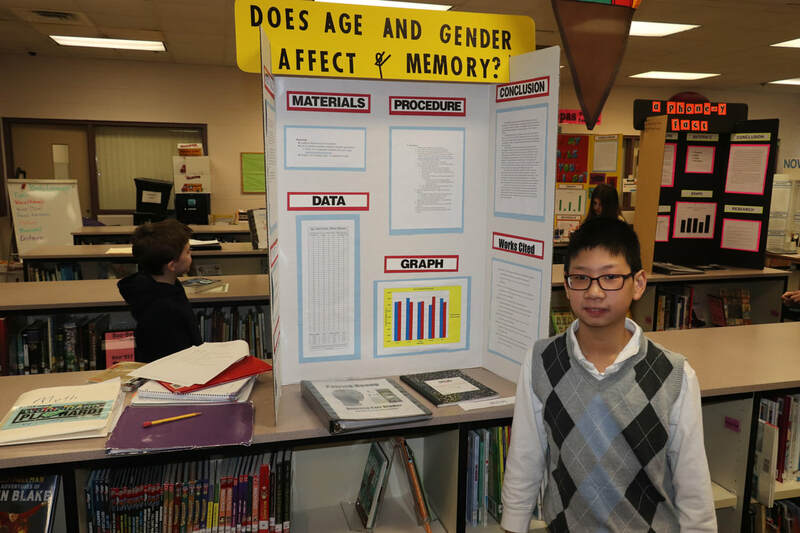 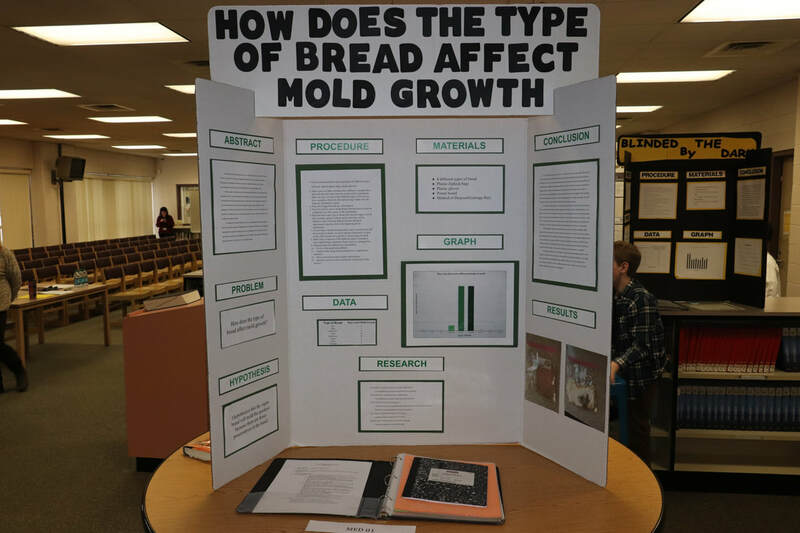 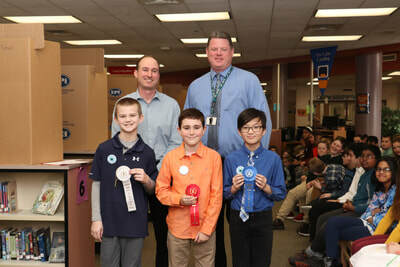 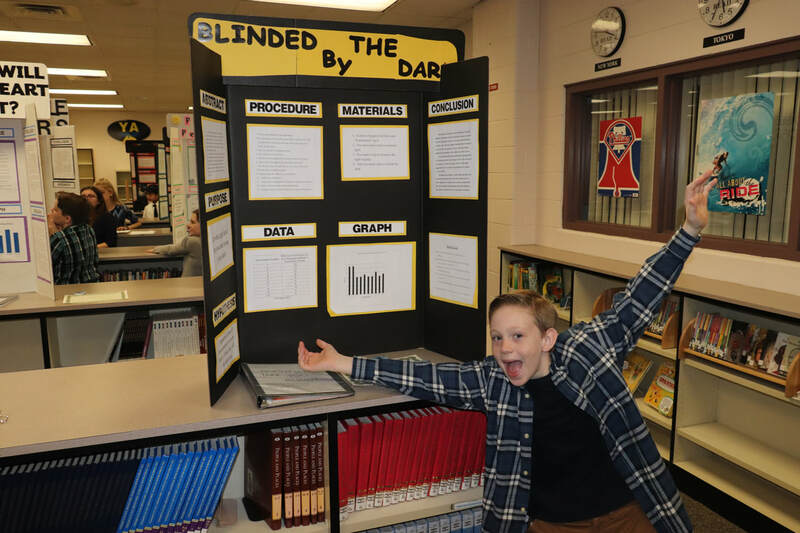 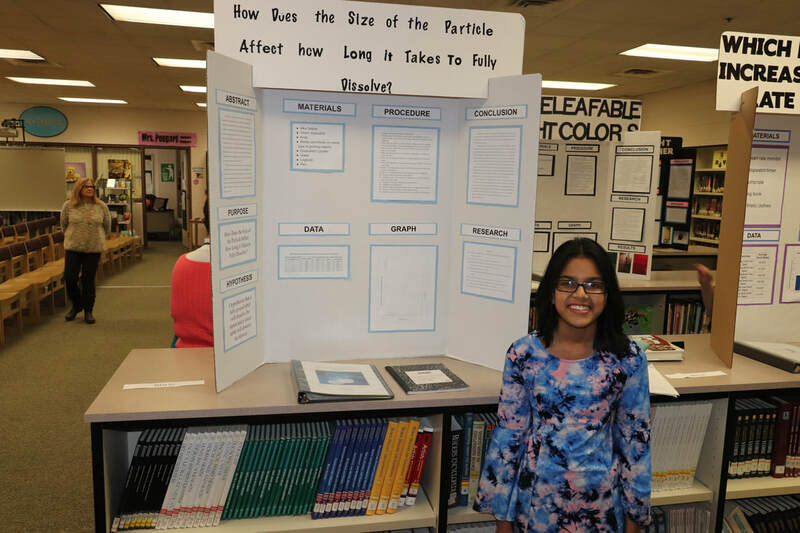 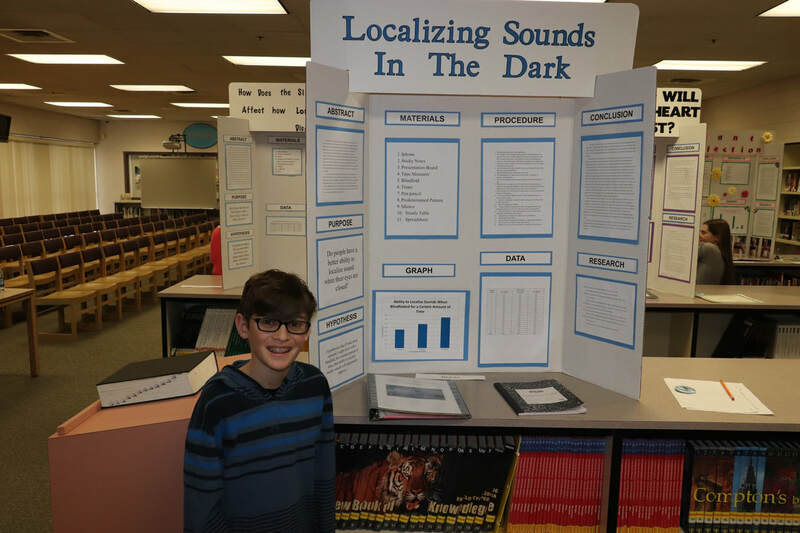 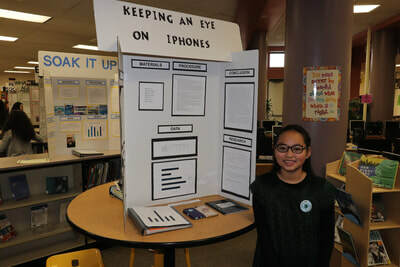 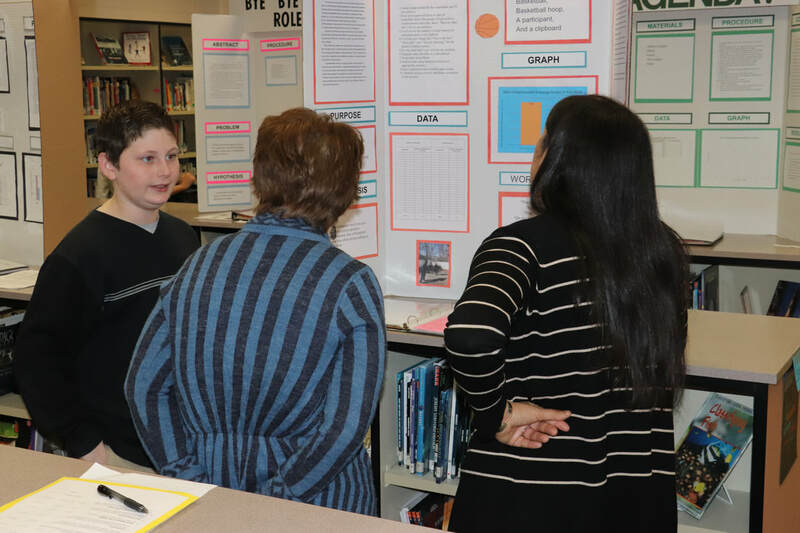 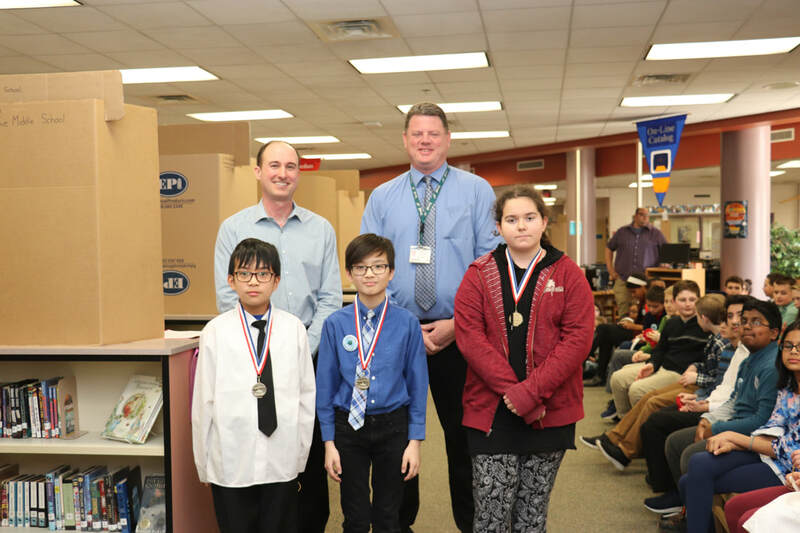 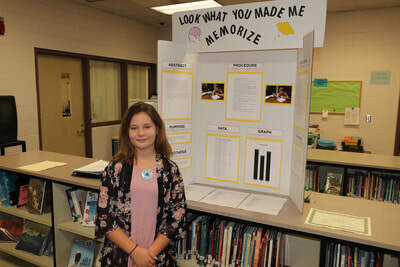 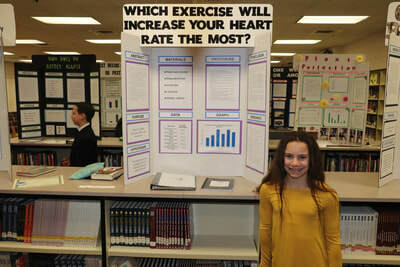 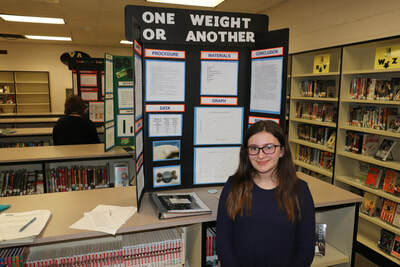 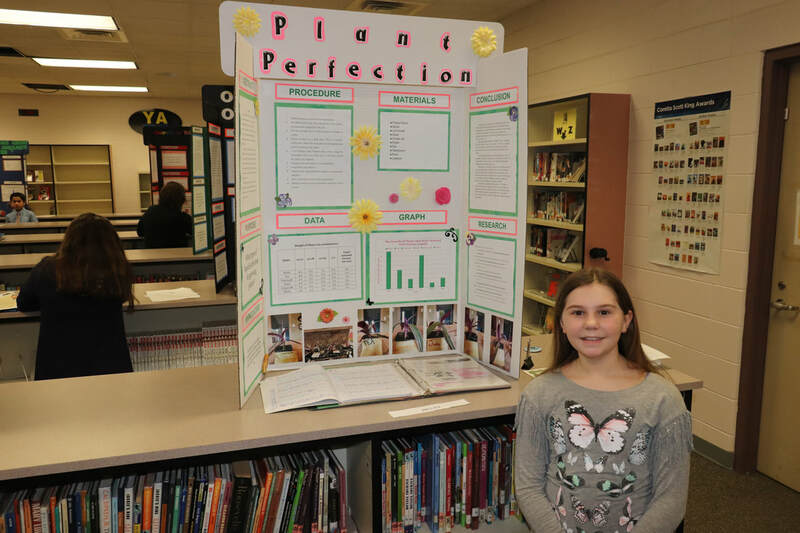 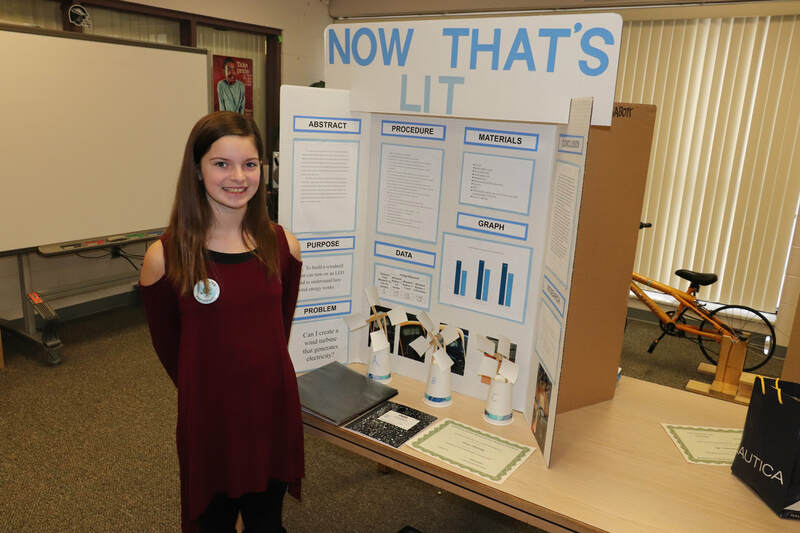 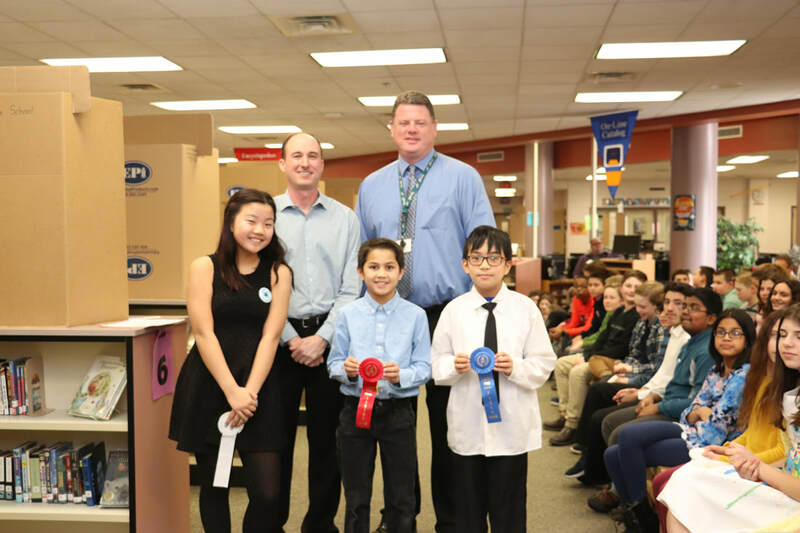 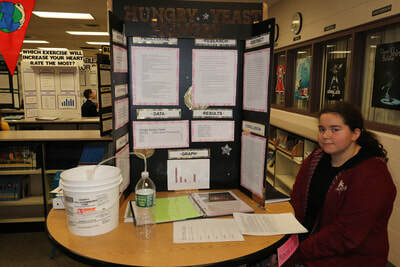 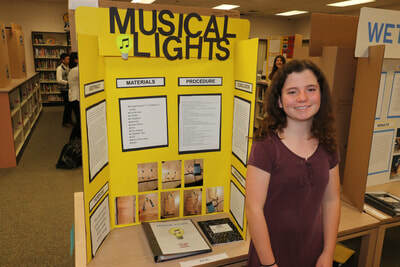 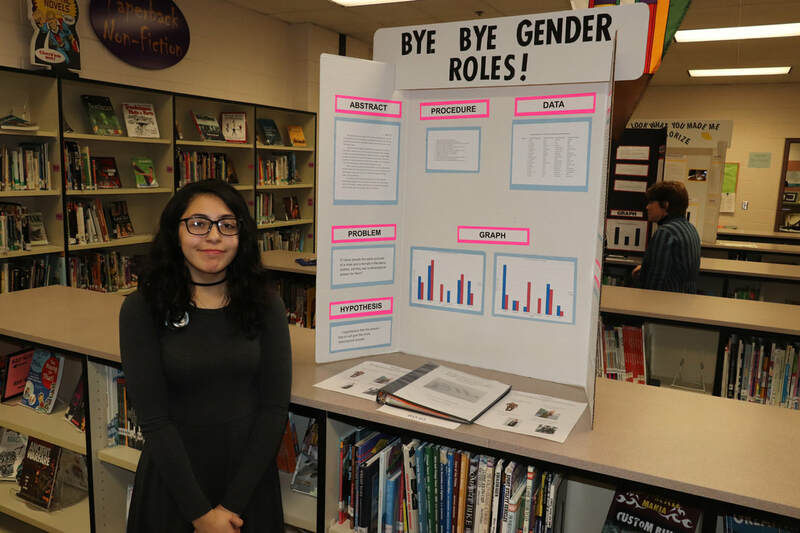 The 2018 Fernwood Science Fair was held on March 13th in the library. The event was the culmination of five months of researching, experimenting, writing, building, and practicing. 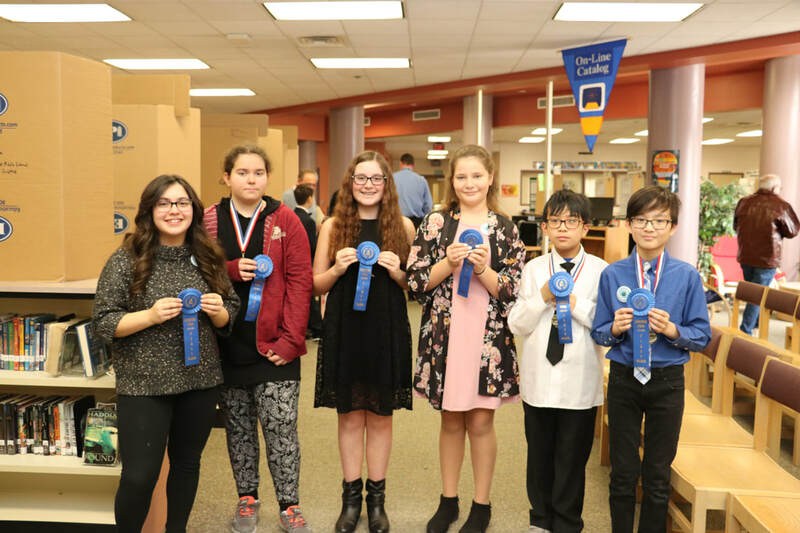 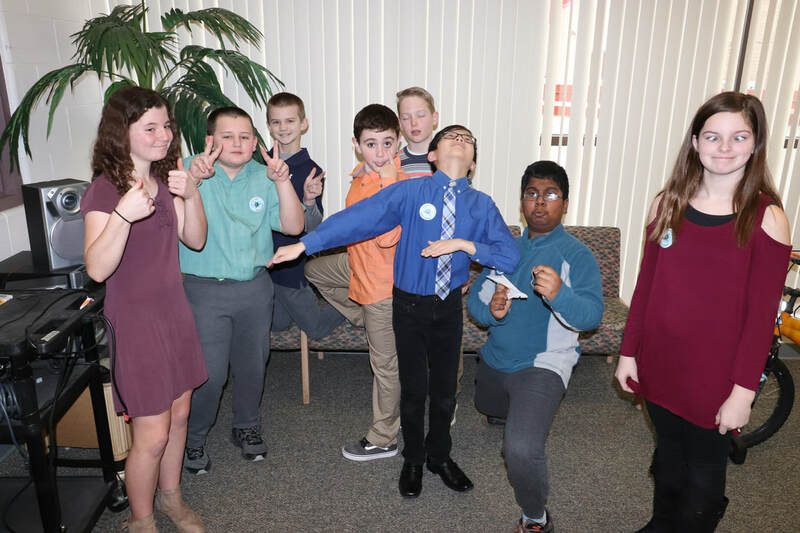 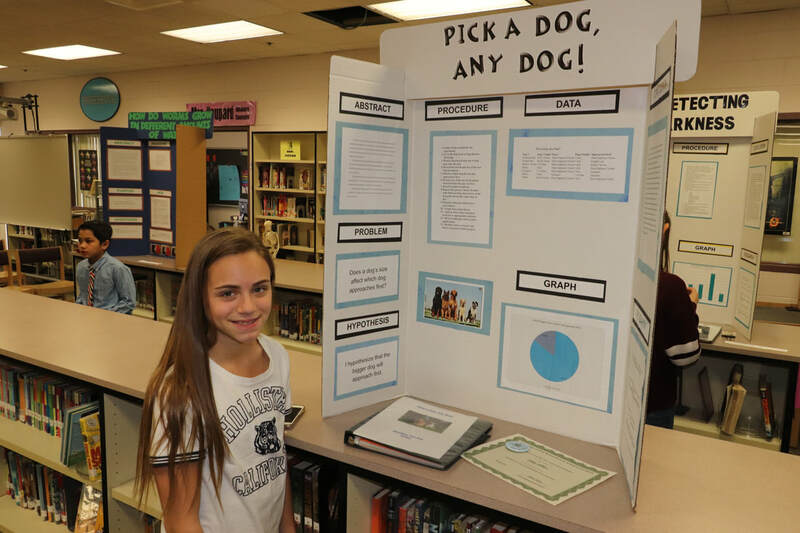 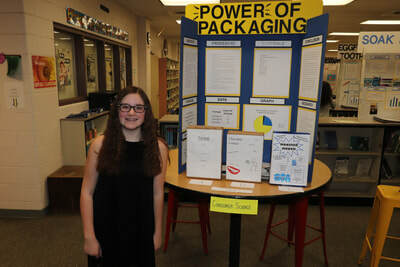 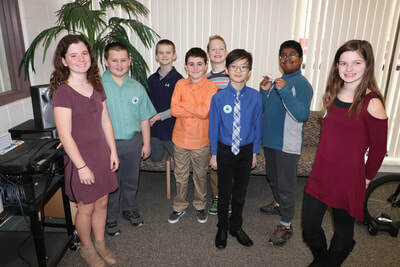 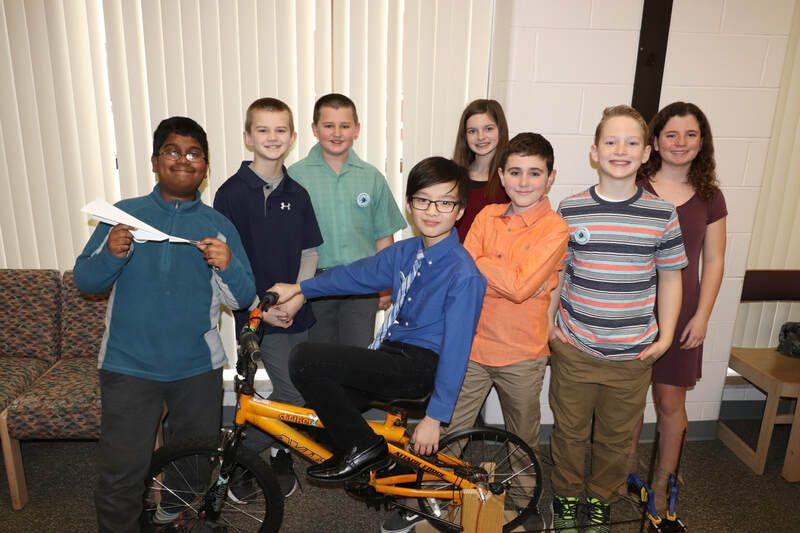 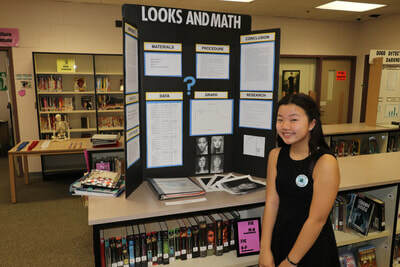 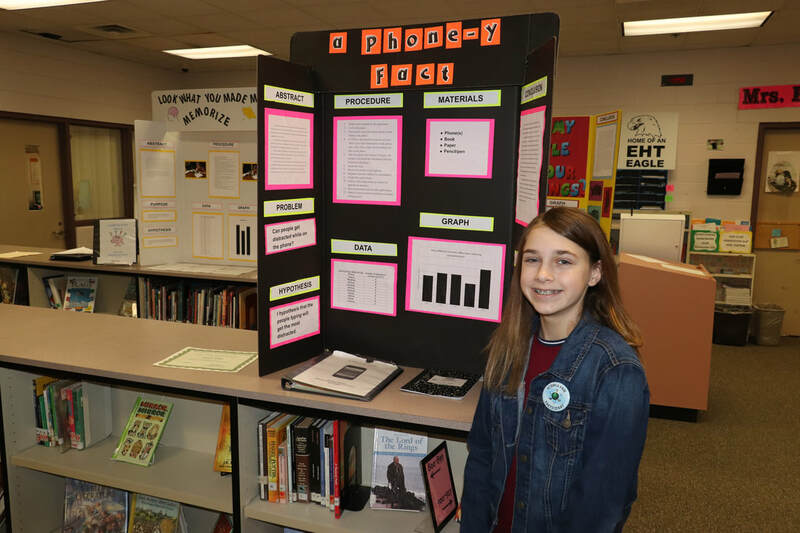 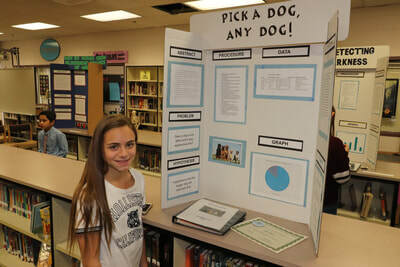 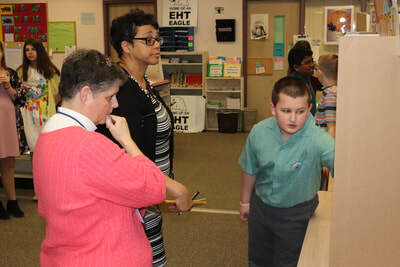 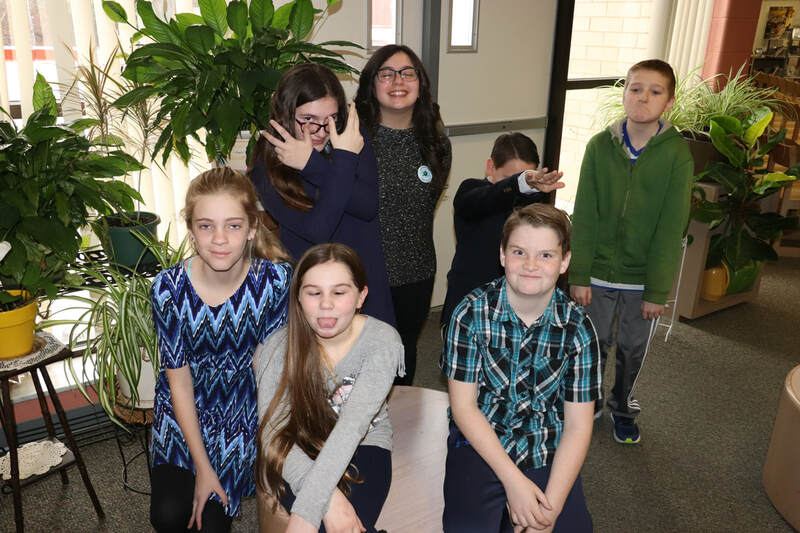 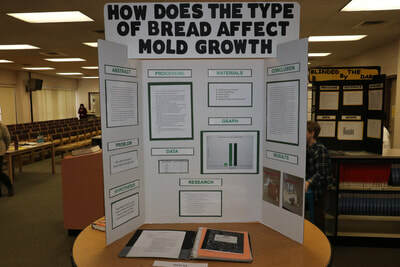 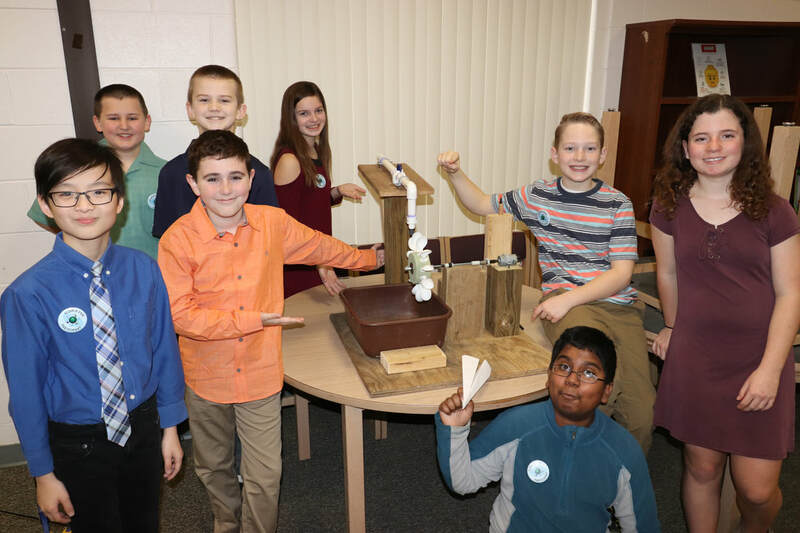 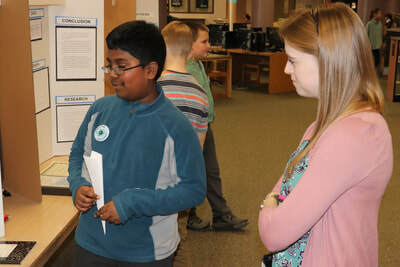 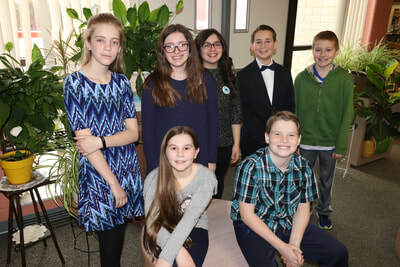 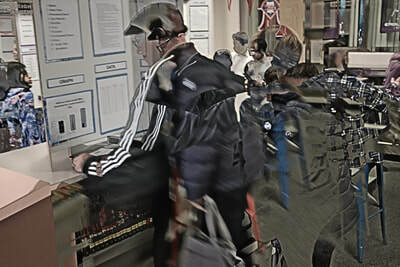 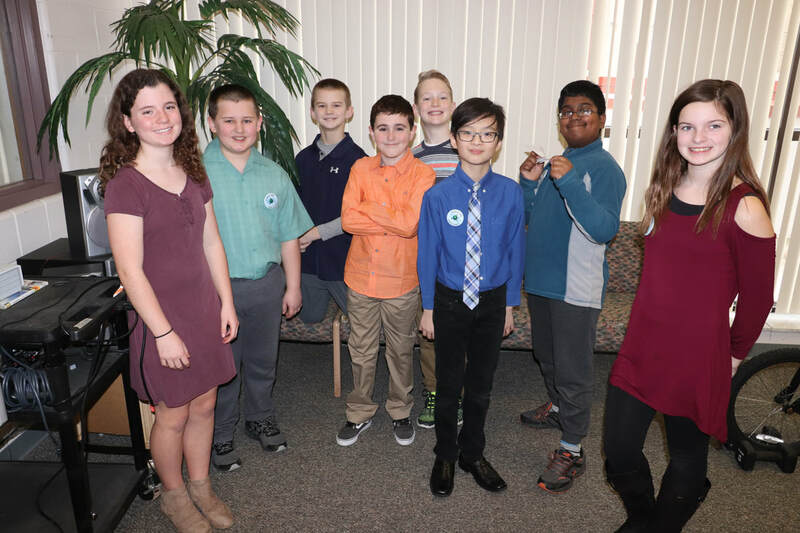 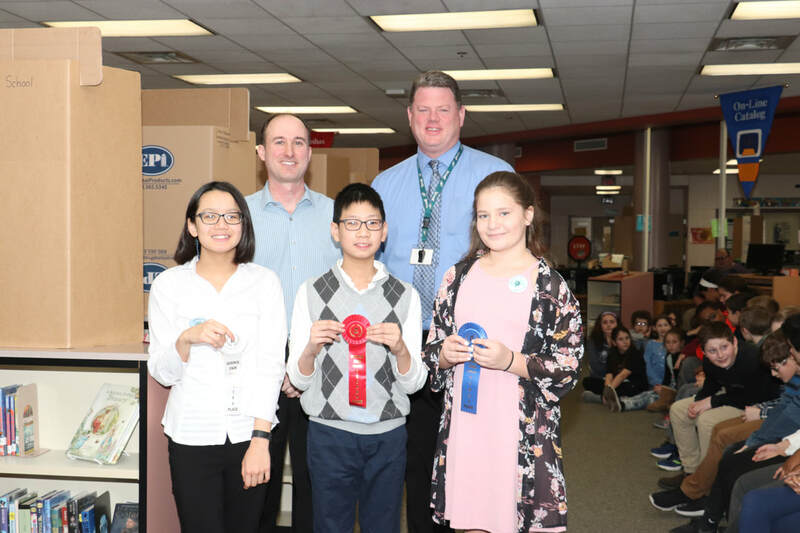 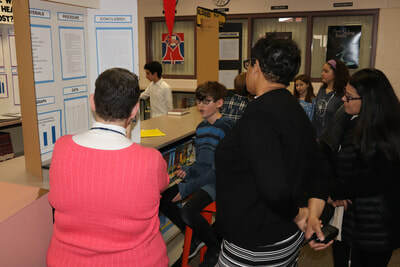 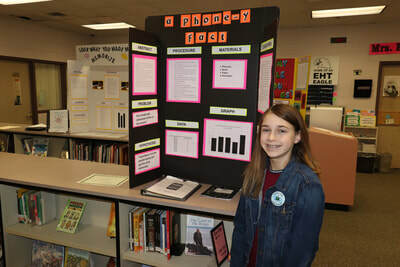 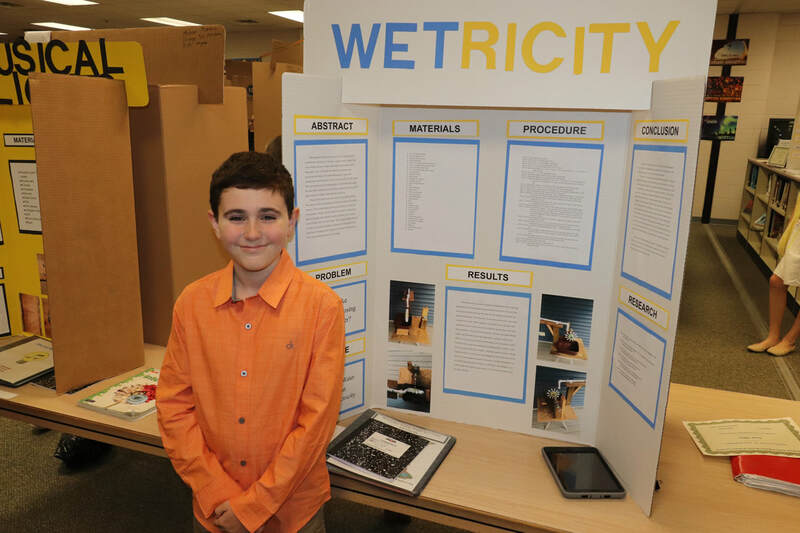 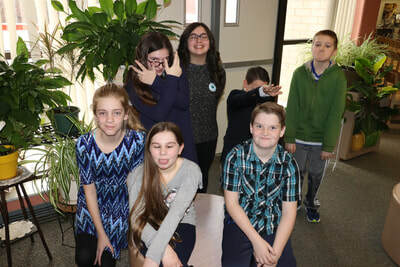 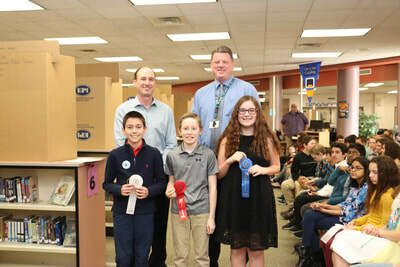 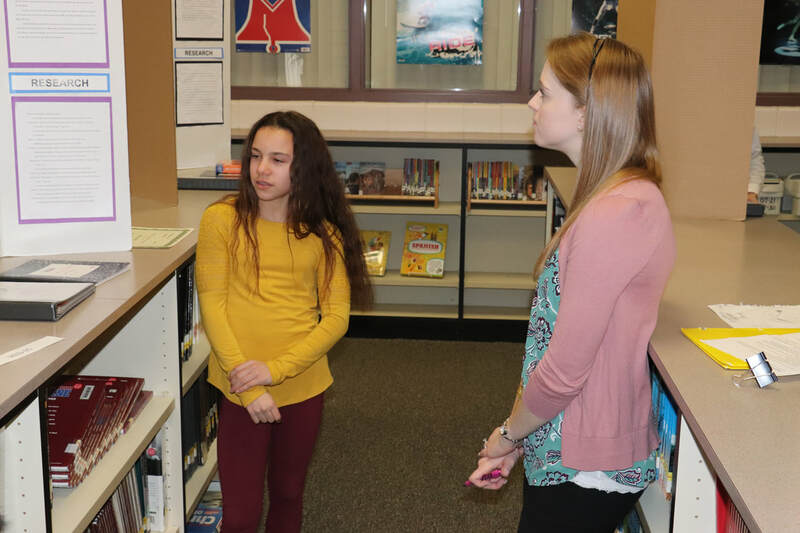 Forty-two students from sixth and seventh grades gave their presentations to the judges, and winners were determined in six different categories. 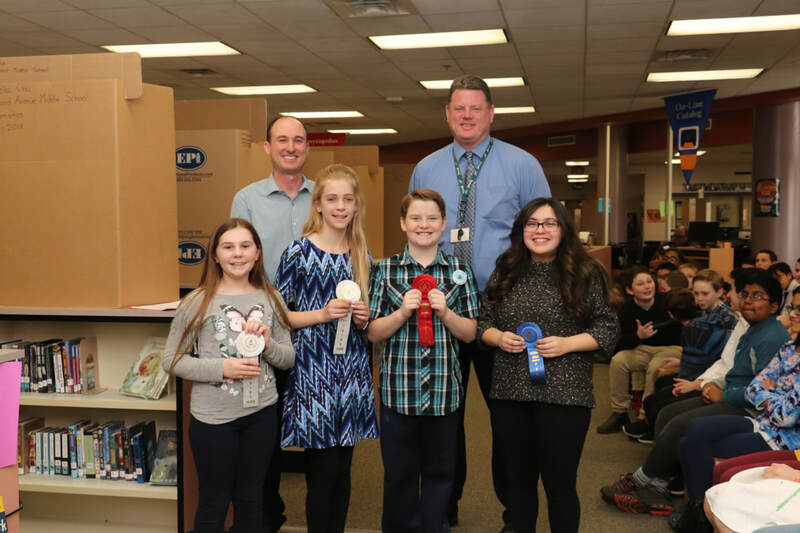 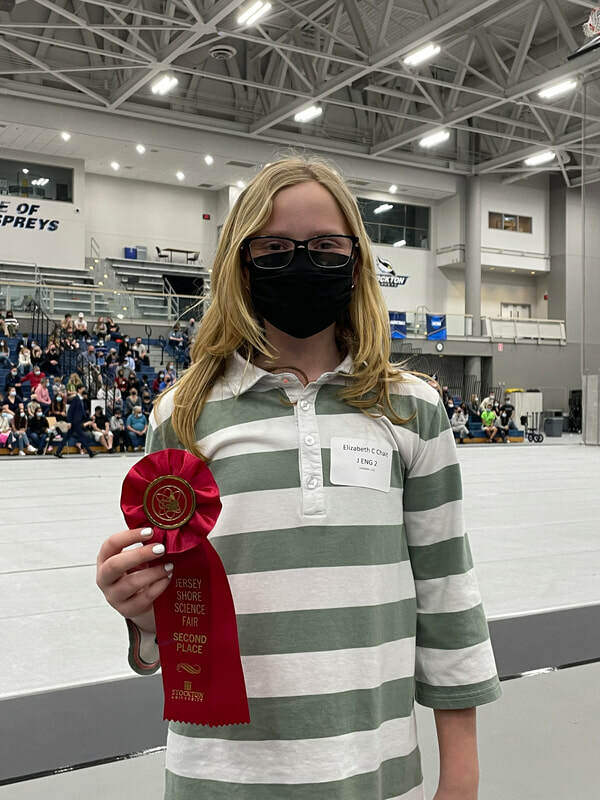 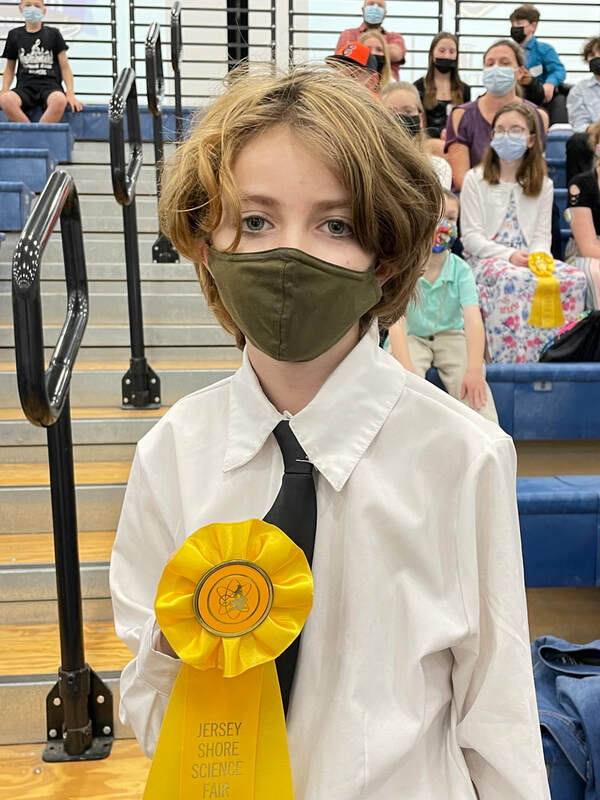 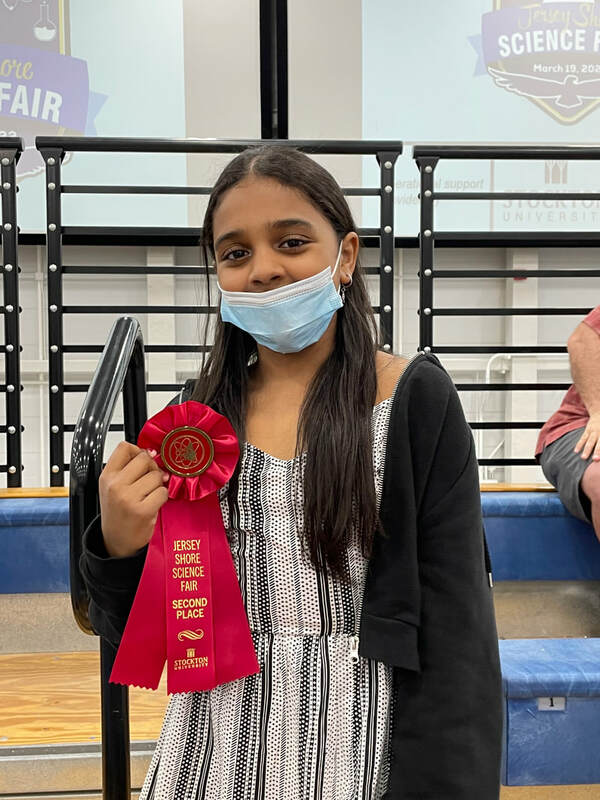 There were also medals given to the top three overall projects in the entire fair, along with a “People’s Choice” award that was voted on by 5th grade GT students visiting from the Miller School. 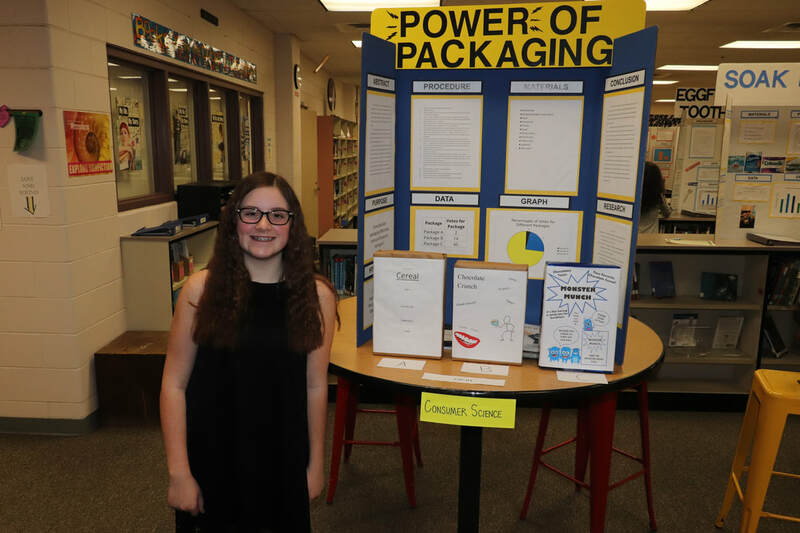 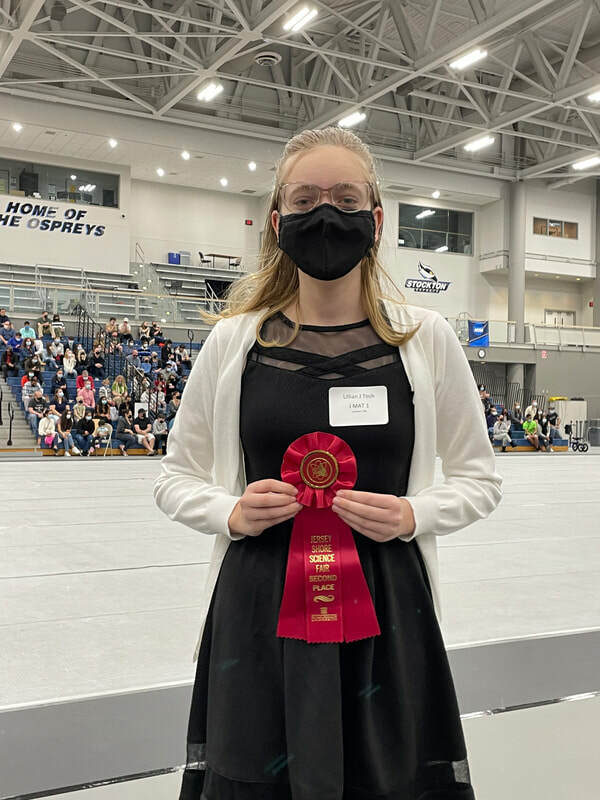 Seventh grader Caroline Kuzian took home the overall gold medal for her project that measured the amount of carbon dioxide produced by yeast when mixed with different sugar substitutes. 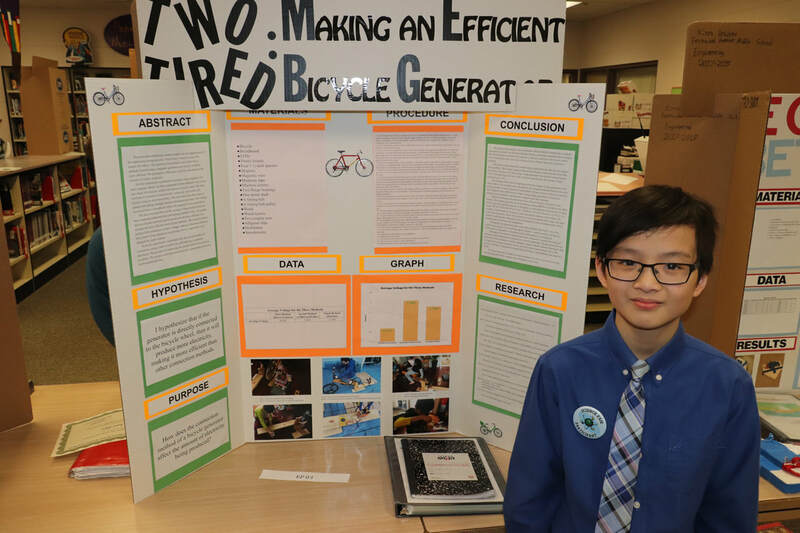 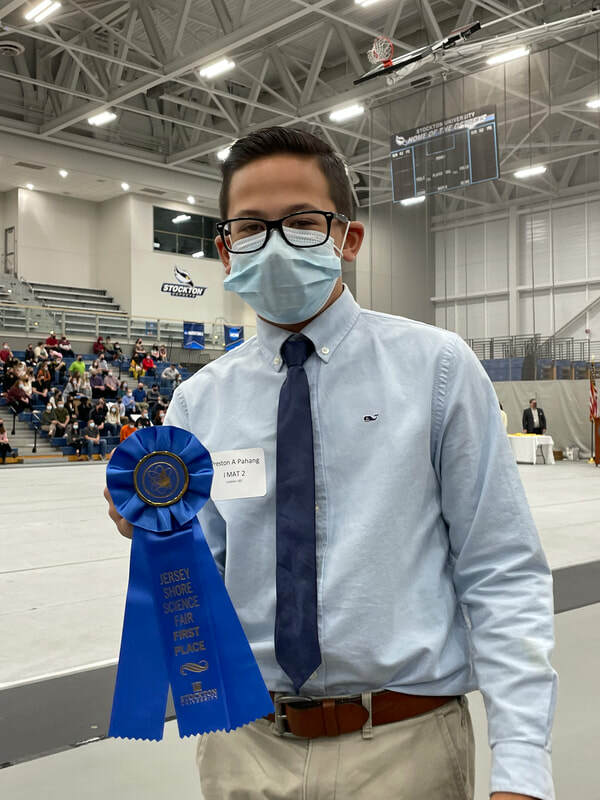 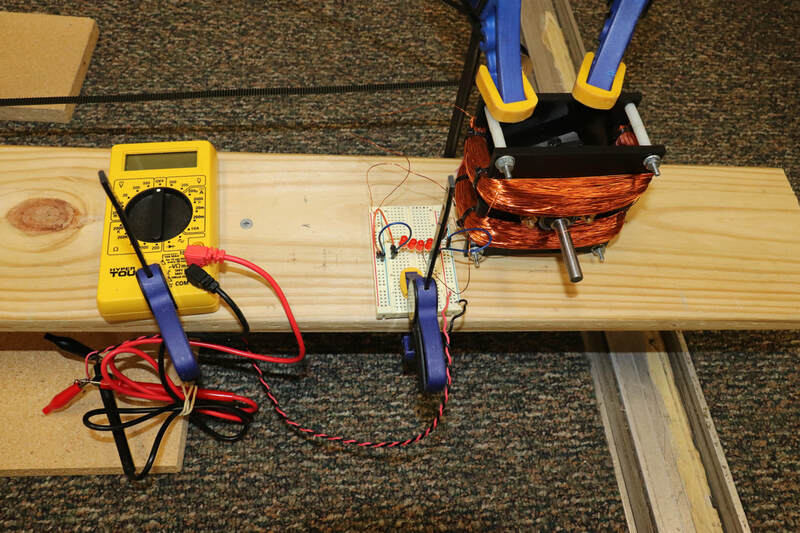 The silver medal went to Lawrence Ho for his engineering project where he built his own generator using coils of copper wire, a bicycle, and pulleys in various positions. 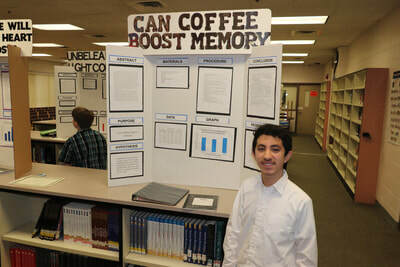 Finally, Nathanael Gaw earned the bronze medal for his computer science project where he coded a tic-tac-toe game in which the computer player will never lose. 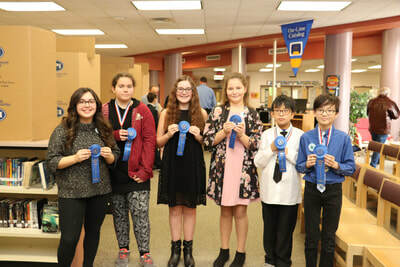 Kloe Kurban (Botany and Earth Science), Sarai van Hest (Behavioral and Social Science), and Mya Cialini (Consumer Science) were category winners along with Caroline, Lawrence, and Nathanael. 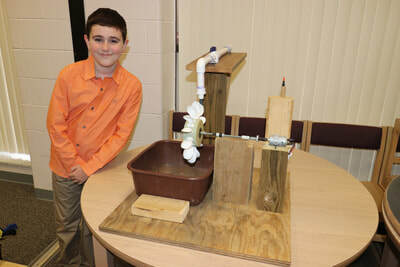 The People’s Choice award went to Ryan Griffin and his engineering project where he build a water wheel that can generate electricity. 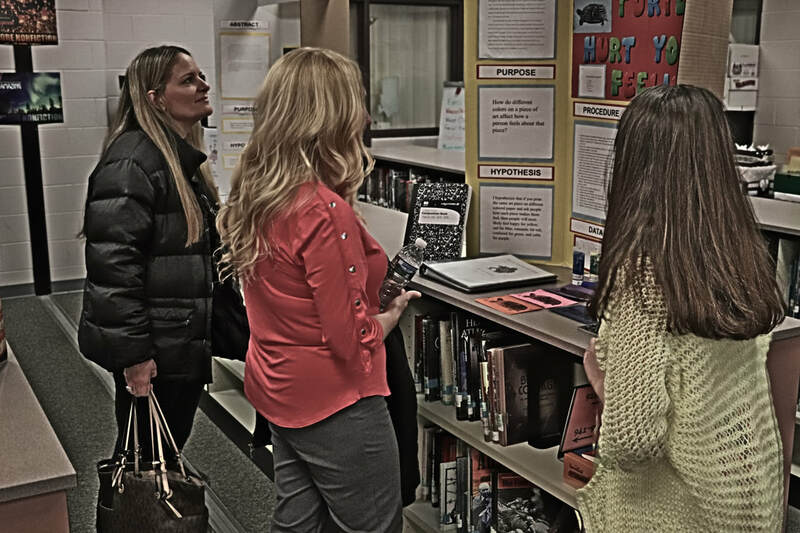 The judges were Fernwood assistant principal Mrs. de Haan, science teacher Mrs. Flesch, and advanced math teacher Mrs. Latshaw, along with GT teachers Miss Hunt from the Miller school, Mrs. Dempsey from Slaybaugh, and Mrs. Sooy from Swift. Big thanks to them! 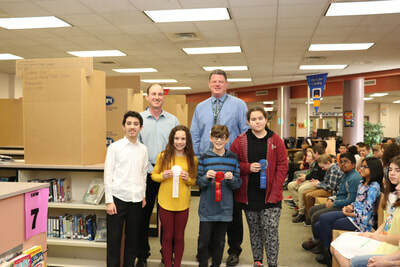 All of the students who participated today are registered to compete in the Jersey Shore Science Fair this Saturday, March 17th at Stockton University. Congratulations to all of our competitors and best of luck at Stockton!